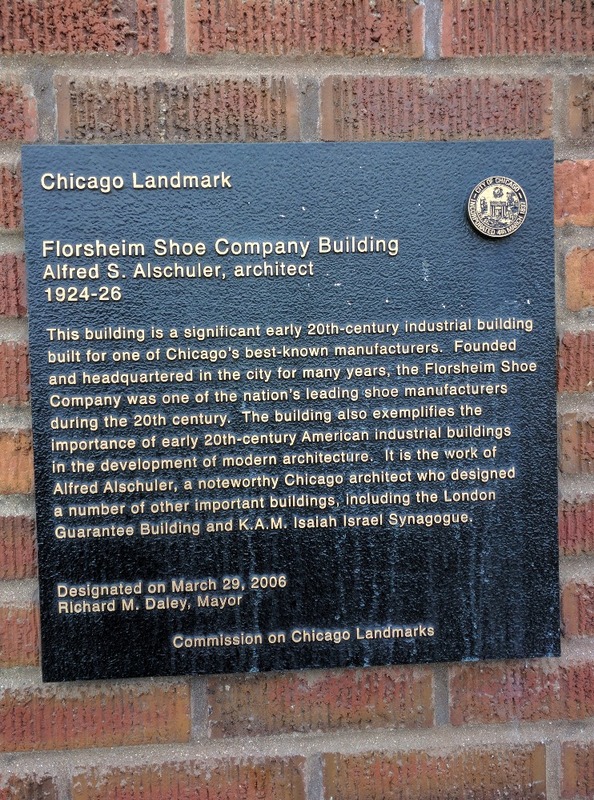 The Chicago City Council granted official Landmark status to the Florsheim Shoe Company Building on March 29th 2006, which over the decades produced millions of pairs shoes that were sold throughout the country. "The Florsheim Building is one of the best examples of how the design of an industrial building could benefit its use and increase its efficiency," said Mayor Richard M. Daley. retailers bought shoes from manufacturers and placed their own store labels on them. marketing, and required retailers to sell the company's shoes under the company's label. facing Belmont between N. Harding Ave. and N. Pulaski Rd. (then N. Crawford Ave.). Company Building on March 4, 1924, and the building opened in 1926.
painted window sash for visual effect. city's 28 tanneries, employing more than 4,000 workers. headquartered in Glendale, Wisconsin, as a unit of Wayco Group, Inc.